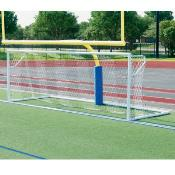 These soccer goals are offered in official size 8'H x 24'W x 3'D x 9'B with a 5 year limited warranty. 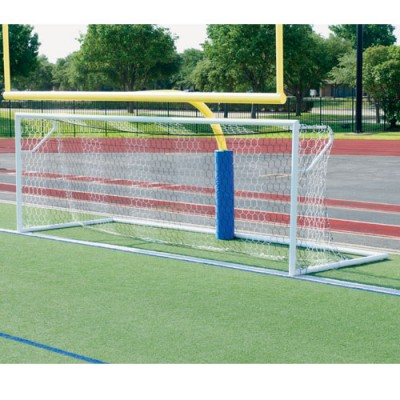 Goals meet NCAA, NFSHSA and FIFA specs. Includes: stainless steel hardware 4 mm White, half depth hex nets and ground anchors.